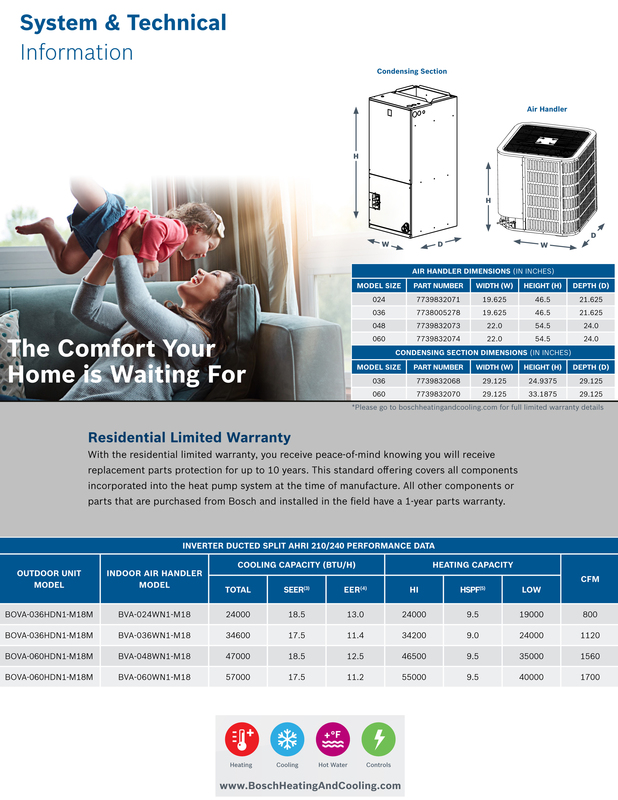 Bosch true inverter heat pump systems deliver maximum efficiency while keeping sound levels to a minimum. The outdoor compressor & motor can freely ramp up & down per demand, offering operating levels from 25-110%. & refrigerant levels. A 10 Year Parts Warranty is also included with every Bosch system installed in a residential application. Also with proper registration of your system, Bosch includes a 90 Day Limited Labor Warranty! This can all be achieved while using any 2 Heat / 1 Cool thermostat or better.